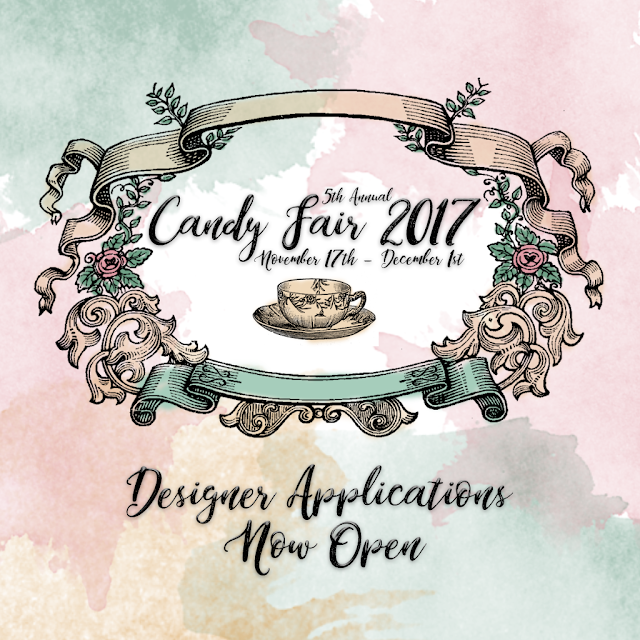 Candy Fair 2017 Designer Applications Now Open! Designer applications for this years fifth annual Candy Fair are now open through August 15th! Get your applications in as soon as you can. We get many applications every year and the sooner the better. Any applications received after that date will be considered for our waiting list. Blogger applications will be opening sometime in September or October. We are excited to announce our fifth annual Candy Fair 2017 which will be inspired by garden tea parties with a hint of Alice in Wonderland. This will be our 5 year birthday celebration round! We look forward to bringing you into a whimsical candy garden full of all kinds of hidden candy treasures! If you are interested please follow the link below to apply online! More info about this years fair is provided on the application.